Rank- 14, Dr Neha Jain CSE 2017, a Dentist from Maulana Azad Degree College. She was our ILP-2017 student, shares her General Studies preparation strategy and why did she choose LAW as her Optional Subject with IASbaba. Apart from Integrated Learning Program, (ILP) she was a regular follower of our other initiatives like 60 days Plan, Daily Current Affairs, RSTV and her favourite being TLP Mains Answer Writing Program. Watch Neha Jain sharing her Preparation Strategy with Mohan Kumar S, Founder of IASbaba. Complete Preparation Strategy (Prelims, Mains, Interview), Answer Writing Tips, Interview Preparation, Role of IASbaba in her Success, How to Choose an Optional for Freshers, Dealing with Unpredictability nature of this exam, Tackling certain grey areas like S&T, Environment, Art & Culture, Advice for fellow Aspirants .. Last Minute Tips and many more.. When we started ILP (Integrated Learning Program), we had a vision that a person situated in the remote corners of the country can clear the exam relying only on it in the very first attempt. Neha Jain and many more have proved it b their faith and consistent effort throughout the programme. And that is why ILP is unique and true to its motto. That’s the reason we mentioned it was not a mere test series , but a comprehensive learning platform! This is Dr. Neha Jain, secured AIR 14 in civil services examination 2017. I was born and brought up in New Delhi. I did my schooling from N. K. Bagrodia Public School, Rohini and completed my graduation in dentistry from Maulana Azad Institute of Dental Sciences, New Delhi. After my graduation I started working as a dental consultant in Oberoi Dental Clinic, Janakpuri. However somewhere down the line I seriously wanted to pursue my dream of becoming a Civil Servant and hence forth took the plunge. The driving force towards this step was something I observed during my internship. The complex administrative problem of humongous lines of patients and the subsequent delays in services motivated me to take this up. Since I was working initially I did not have the luxury of a lot of time therefore I chose a mix of traditional and online coaching. For my general studies, I relied completely on IASbaba. I was an ILP student and therefore all my traditional as well as current affairs was taken care of by IASbaba. 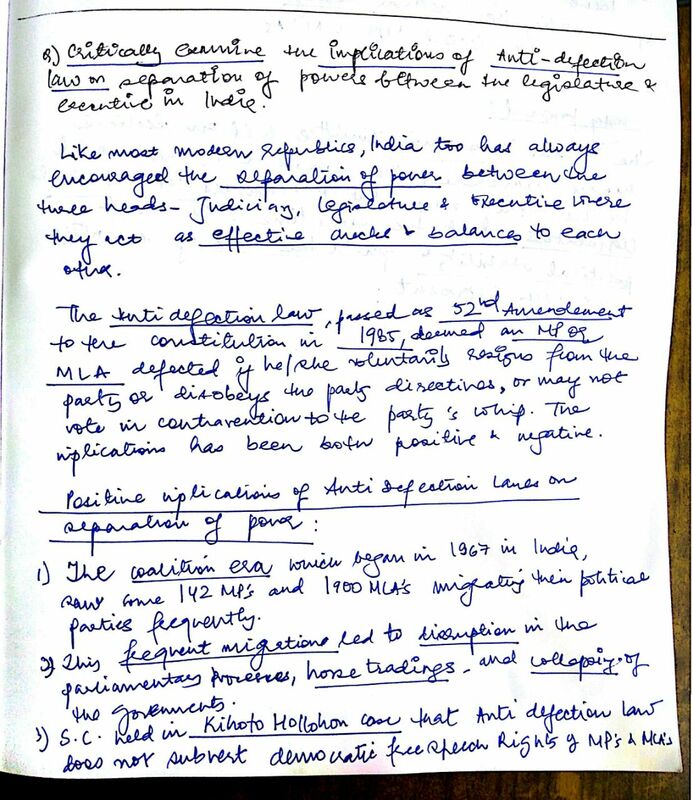 For my LAW OPTIONAL, I went a bit overboard and took notes from three institutes- Nirvana IAS, law ambition and Lawxperts MV notes. I used to read the Hindu and occasionally see The Indian express on my phone for its editorials but I made sure that I made notes regarding the relevant news items. I did Babapedia for prelims along with newspaper. The most important take away was the 60 day prelims program which I did very sincerely and I was benefited from the most. It was not only comprehensive but also futuristic. I still remember that IASbaba had given two full mocks just before the prelims amongst which the second one was totally traditional, something similar to what actually appeared in Prelims 2017. Since I was an ILP student, I used to appear for the regular tests and evaluate myself amongst many good competitors which in turn boosted me for better performance. My advice will be to just practice mocks in complete exam environment and analyse them thoroughly so that one should never repeat the same mistakes on the D-day. If there’s one thing I did right in the mains process, it was the TLP Mains Answer Writing. 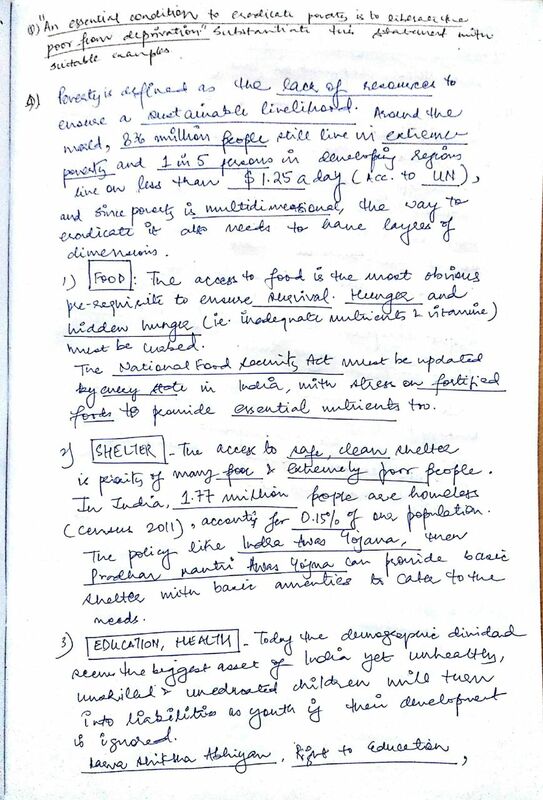 Everyday I used to write 5 questions and evaluate my answers from the model answers and in fact got feedback from IASbaba mentors too. This not only improved my speed as I used to attempt 5 questions in 35 minutes but also gave me a pool of questions thereafter to revise from. I also used to read RSTV debates summary after every week so that I can some insights from the experts in respective fields. One can go to IASbaba RSTV summary section for it or watch the debates live also. My optional was Law. My father, Mr.P.K. Jain and my mama Mr. Anjeev Kumar Jain are LLB graduates who motivated me to take up law as my optional and gave me an overview of what law is about. I took up coaching from Nirvana Ias academy, notes of relevant topics from Law Ambition Institute and Lawxpert MV which is an online initiative. I just want to say to everyone that taking up an optional should be based on your own liking and interest but along with availability of guidance too. Daily routine- ‘My daily routine was devoting focused time of 5-6 hours every day and this increased to 8-10 hours during the last days of mains when I took leave from the clinic and was preparing full time. I used to devote about two and half hours everyday writing 5 questions from TLP and reviewing them subsequently including rectifying mistakes and learning from model answers. 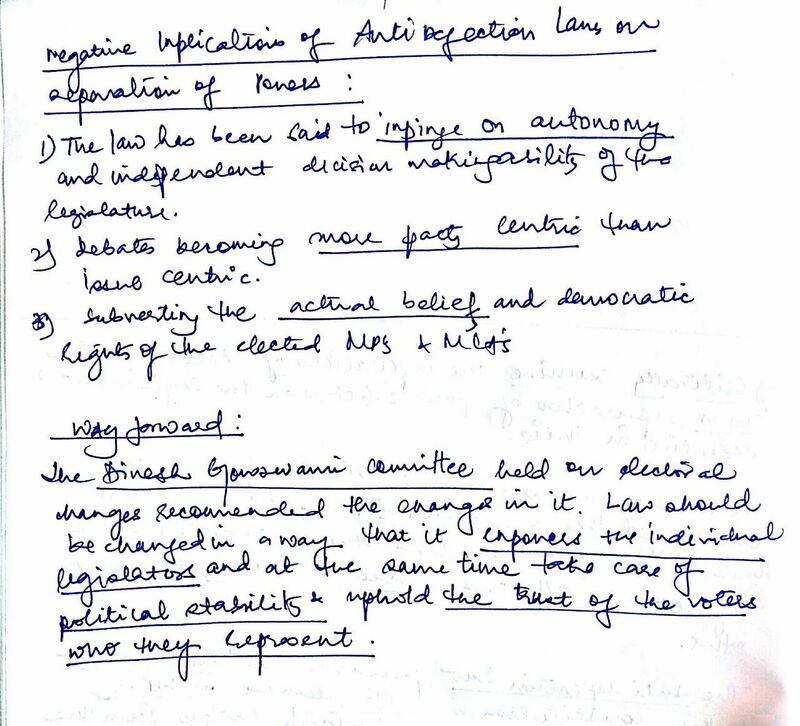 Revising static syllabus for Mains (including booklets of IASbaba of ILP) and putting in adequate time for Law by revising the syllabus and attempting the previous year questions as well was something I tried to do everyday. 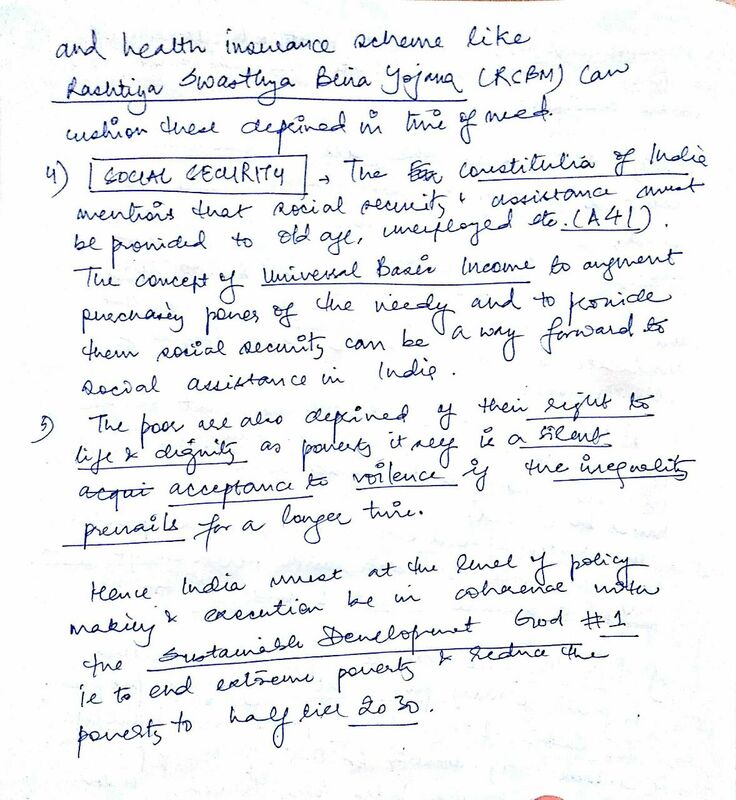 For essays I practiced only two essays but wrote pointers for many topics like governance, democracy, women, education, agriculture so that I have a rough structure ready in case of such topics. Though in hindsight, I believe that more essays must be practiced as I was falling short of time in the end. I will be very honest that ILP really helped me a lot. 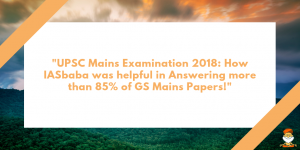 Right from Babapedia, to the notes on various topics which were filled with diagrams and stories making them so much easier to learn to the regular prelims and Mains tests, it was all very succinct yet comprehensive. I recommend that every serious aspirant must at least go through them (ILP) and evaluate for themselves. To all the aspirants, I just want to say that stay positive and believe in yourself even when no one else does! Examples like her give us strength and motivation to strive forward to achieve what we started our journey for – to provide quality education to aspirants in the remotest corner of India. She has also justified our moto i.e. “One stop destination for UPSC”. Once again Heartiest Congratulations from IASbaba! !